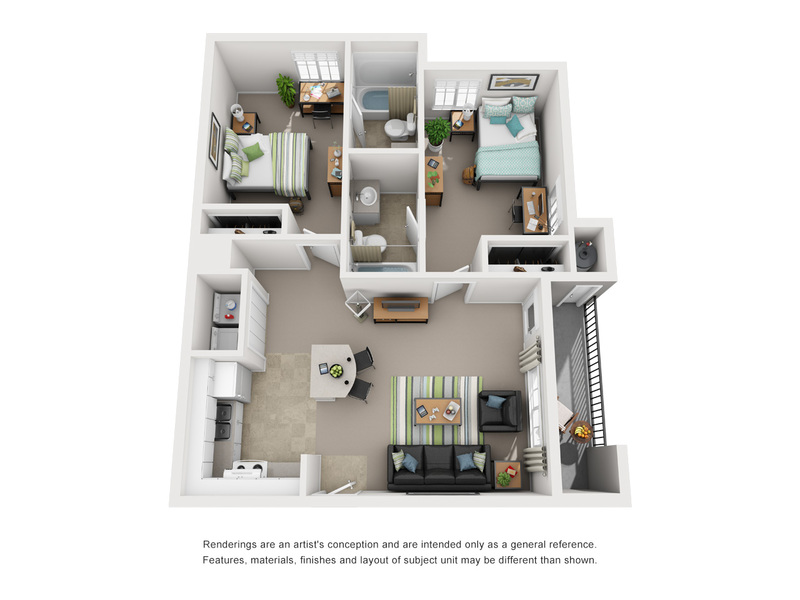 At Tremont Student Living, we offer floor plans for everyone and the flexibility to sign an individual lease within a shared apartment. Get an inside look at our housing options in the renderings below. 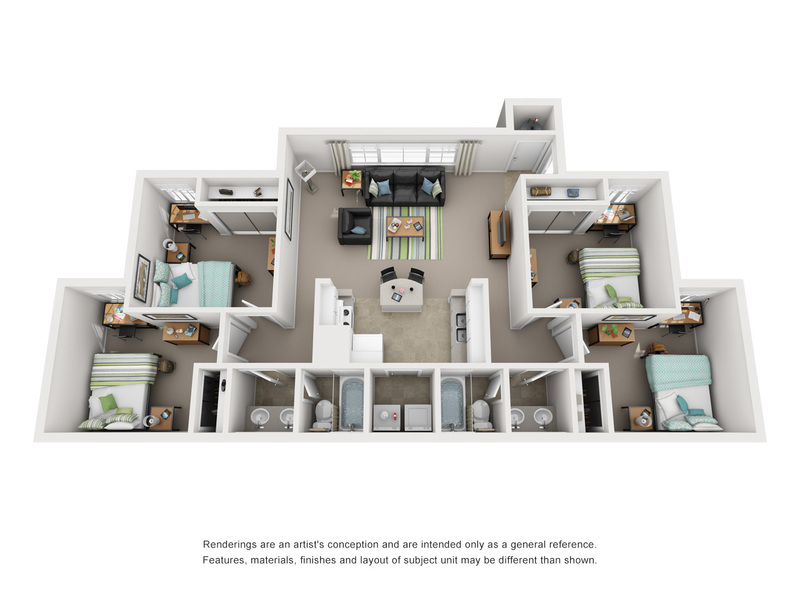 Select each image to see a larger view of the layout, and check out the kitchen and living areas in our two- and four-bedroom options.